T he life-sciences industry is being held accountable, like never before, for the outcomes they are generating towards improving the health of patients. Driven by patient-centric technological and regulatory changes, the industry is witnessing a paradigm shift. As a result, life-sciences and medical device organizations now need to focus on the consumerization of care, collaboration with caregivers and precision medicine. This era of ‘patient centricity’ has been ushered in by the rise of ‘digital health’, the explosion in patient health data and increased collaboration among all the industry stakeholders - providers, caregivers, insurers, life sciences & medical device organizations. To survive and thrive, organizations need to transform and adapt their ‘R&D’ and ‘Commercial’ models to this shift. Successful life sciences organizations of the future will not be drug manufacturers, but those responsible for managing the entire health life-cycle of an individual. At Nagarro, we provide patient-centric capabilities across the life sciences value chain. We help our clients transform and become future-ready by leveraging our expertise in innovation, big data analytics, and technology. 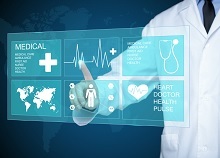 Consumerization of care and proliferation of ‘digital health’ including wearables, connected health technologies and internet of health, is growing by the day and shaping the future of the healthcare industry in general and life sciences in particular. Nagarro helps organizations develop a ‘digital and analytics’ driven ecosystem to improve engagement with patients, caregivers and providers through a proactive omni-channel approach. Regulators, payers, patients and their caregivers are holding life sciences organizations accountable to demonstrate ‘value’ in the real world, beyond RCTs. Nagarro, with its deep experience in real-world evidence based research, health economics, and outcome based research studies, helps life sciences organizations adapt and lead the path towards value-based care across both ‘R&D’ and ‘Commercial’ parts of the organization. Clinical trials are long and expensive. Their timely success is imperative for the long-term growth of a life sciences organization. Nagarro leverages machine learning, big data analytics and advanced cognitive computing capabilities to derive disease and treatment pathway insights and identify the compounds most likely to be successful at an early stage. Read this to manage exponential growth in life-sciences organizations. 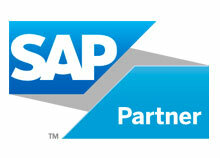 Explore limitless possibilities in personalized healthcare and . 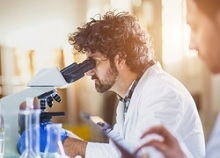 As a SAP Partner for Connected Health and Medical Insights, we build products on the latest SAP technologies providing cutting-edge business capabilities to our clients. 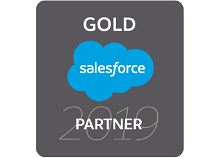 As a Salesforce Consulting Partner, we provide strategic consulting and solutioning.